It has been a grueling season so far. The wind comes from northerly to easterly direction almost every week, and temperatures were often close to 30 degrees. 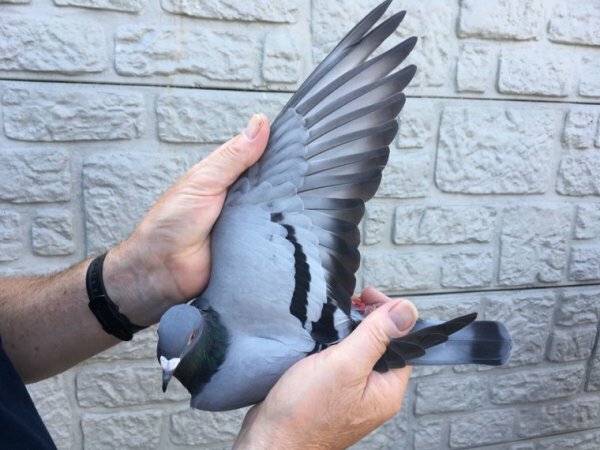 Every fancier agrees that the pigeons are on their limit, and we see an increasing number of losses every race as well. The weakest birds had been left behind a long time ago, unable to cope with the demanding racing conditions, and even the strong birds are past their best now. Even the great champions are drawing on their last reserves of strength. The race from Argenton II on 21st of July was promising to be another race of attrition, with temperatures well above 25°C and again a northerly wind. Equal chances for everyone. Well, the racing team of Davy Tournelle delivered a world class result that day. 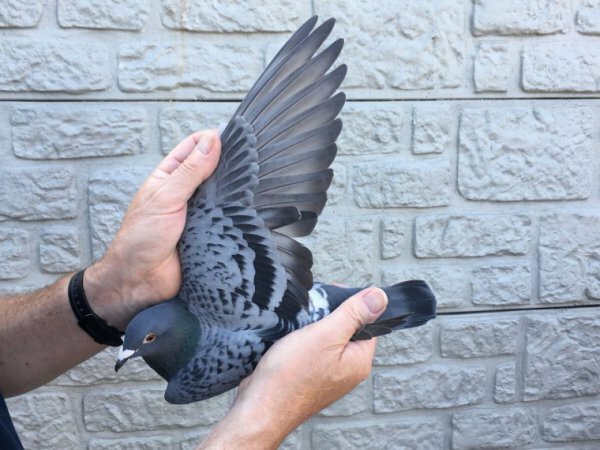 It is no secret that the Davy Tournelle pigeon breed can really go beyond their limits at a time when most pigeons are about to throw in the towel. The achievements of the (great)grandsons and daughters of Torres and Tiësto in Argenton II really speak to the imagination. Davy knew that his team was in excellent form but no fancier would dream of getting such a spectacular result, not even Davy Tournelle. He claims a 3rd, 4th and 14th national, with 3 yearlings in the top 20 of 8,651 yearlings, and an 11th, 24th and 64th with the old birds, or three top 100 prizes. Back in the days, Davy won several national top results with Torres, a son of his renowned top breeder Tiësto. 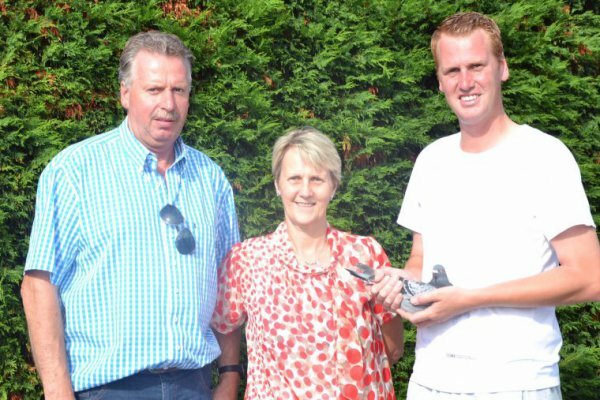 Torres won a 1st National Chateauroux 4,690 pigeons, and he was Belgium's best middle distance racing bird between 2009 and 2012. Meanwhile, his youngsters (and grandchildren) have followed in the footsteps of their illustrious sires and (great-)grandfathers. The pigeons that have excelled in Argenton II last weekend are all related to Torres and/or Tiësto as well. The current number one in this loft is without doubt Tinneke. She has a 2nd Interprov. Chevrainvilliers and a 2nd Prov. Blois to her name, and she put the icing on the cake last weekend in Argenton II, winning a 1st Prov. of 1,253 p. and a 3rd Nat. 8,588 pigeons. The sire of Tinneke is a great-grandson of Tiësto. The grandmother from her father's side is Thasja, which is also the dam of a 1st Nat. La Souterraine 4,669 p. The dam of Thasja is Safira, 3rd Nat. Ace Pigeon KBDB longer middle distance 2009. The grandmother from her mother's side is super class bird Torres, which we mentioned earlier on. Grandmother Rosie has a 1st Prov. Montluçon to her name. Click here for Tinneke's full pedigree. 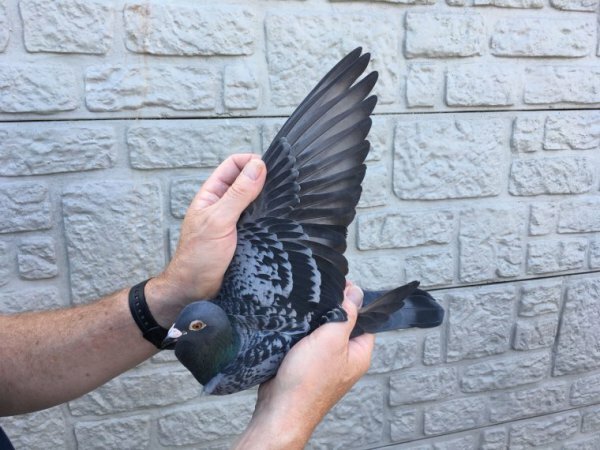 Davy's second pigeon arrived home very quickly as well: a mere two minutes after Tinneke's arrival, racing bird Jewel Torres arrived at the loft, to claim a 2nd provincial and 5th national. 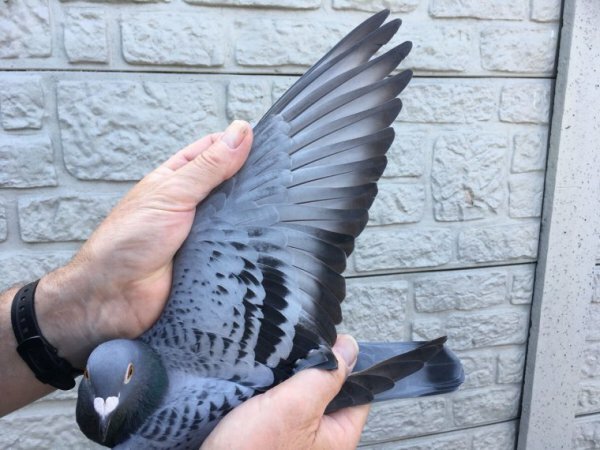 This pigeon too is related to Torres and Tiësto from his mother's side. The Tiësto bloodline features not once but twice: as grandfather and great-grandfather of Perfect Jewel, the dam of Jewel Torre. Click here for the full pedigree of Jewel Torres. 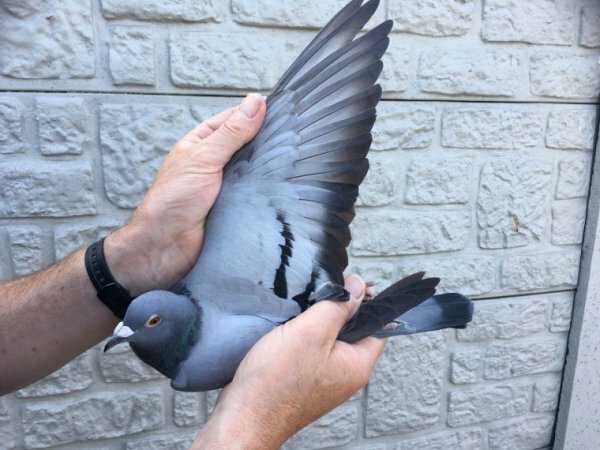 The pigeons from Argenton arrived home with quite a bit of time in between them, but this race was different: five minutes after Tinneke came home, Davy clocked his third yearling: 344/17. She claimed a 7th provincial and 14th national. This shows yet again how important breeding birds Torres and Tiësto are to the Tournelle breed, since Tiësto appears in three different bloodlines: from her father's side, as the sire of Tiësto's Best (the sire of the 344/17), and twice as a great-grandfather from her mother's side, once as sire Torres. It is worth noting that racing hen 344/17 had already won a 2nd Soissons 743 p. and a 5th Soissons 1,189 p., which shows that she was quite a talented racing hen indeed. Click here for the full pedigree of the 344/17. Marlyn is the exception that proves the rule: there is no Torres or Tiësto in the pedigree of this 11th National Argenton of 5,82 old birds. However, she is related to BE99-2042329 from her mother's side, a second stock breeder for Team Tournelle and the sire of Olympic Roadrunner, which also appeared in the pedigree of Tinneke. She is also related to a bloodline of the renowned Antwerp fancier Niels Broeckx from her father's side. Click here for the full pedigree of Marlyn. Racing bird 078/16 already had a 16th provincial Blois 1,681 p. and a 167th nat. Argenton to his name, and he has now added a 7th prov. and 24th nat. Argenton to his palmares as well. His pedigree does not have too many surprises: Tiësto is the grandfather from his mother's side, and his grandmother is Fleur, Tiësto's partner for years. This pigeon is related to another renowned Belgian breed from his father's side: M. & G. Casaert. Click here for the pedigree of the 078/16. The hen that claimed a 64th place in the old birds' race is also related to Tiësto. Click here for her full pedigree. The team of Tournelle has a bright future ahead, especially when taking into account the young birds' victory from Soissons (205km). Postponing a race due to overly demanding conditions? The pigeons of Davy Tournelle would not be in favour.